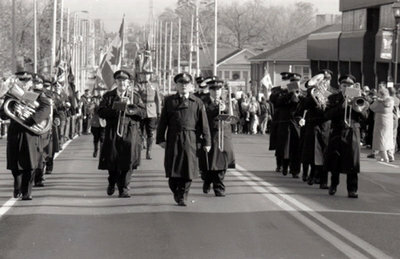 In this photograph the Whitby Brass Band is leading the procession towards the Royal Canadian Legion. Remembrance Day Service, November 11, 2005, Carl Ferencz. Whitby Archives A2013_014_002A.